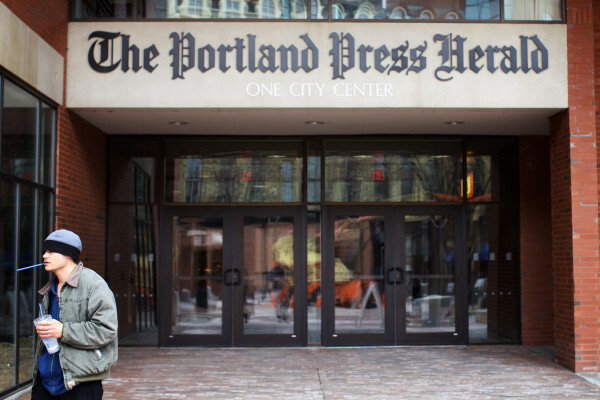 PORTLAND, Maine — The sale of the state’s largest newspaper group closed Monday, putting ownership of the Portland Press Herald and its sister papers in the hands of midcoast businessman Reade Brower, for an undisclosed price. Brower takes over the newspaper group after financier Donald Sussman invested a reported $13 million into the company, hiring more journalists, rebuilding the newspapers’ websites and bringing on publisher Lisa DeSisto from the Boston Globe. DeSisto, in a letter published Sunday, said Brower offered jobs to 98 percent of the company’s current employees with the same wages and benefits, and that the company has started talks with its three unions about its plans. As part of the transaction, Brower and the company MTM Acquisition formed for the purchase did not take on existing contracts with the union. Brower said he plans to keep together the newspaper group that also includes the Kennebec Journal in Augusta, Morning Sentinel in Waterville and Coastal Journal in Bath. He owns The Free Press in Rockland and Courier papers in the Camden area and is a partner in the Brunswick-based Alliance Press. He said one of the first questions to tackle for MaineToday is how to efficiently print the newspapers between that location and MaineToday’s printing presses in South Portland. Alliance Press prints several weekly newspapers, as well as The Times Record, a five-day publication that rents space in the Alliance Press building. Alliance Press also contracts to print some editions of the Bangor Daily News. Brower said that the business model is coming together for newspapers to survive after websites such as Craigslist largely classified advertising and online social networks have developed as a way for people to get their news. Delivering accurate news and providing verification and context is a part of the value newspapers can provide, he said. “We had something reported [on social media] a month or two ago about shootings in Camden, and it turns out that it was Camden, New Jersey,” Brower said. Brower said that The Free Press in Rockland recently hired an investigative reporter, as part of a shift toward more thoroughly reported and complete stories, rather than breaking news events. His Courier group of newspapers around Camden all operate behind full paywalls, which he said he sees as key to building a sustainable newspaper business. Every daily newspaper in Maine except the Bangor Daily News has some form of paywall or pay meter, in which readers can access a certain number of articles in a given period of time and must pay to read more. Brower said he intends to keep the midcoast publications and the MaineToday papers separate in terms of content and management but may be able to collectively save costs with coordination in the printing operation. In a statement announcing closure of the sale, MaineToday said its daily newspaper circulation increased about 3 percent in the first three months of 2015 compared with one year ago, when it did not require online readers to pay for its content. The group did not share the effect on online traffic, but Brower said online ad revenue from “monetizing eyeballs” on a website alone has not been enough to support a sustainable news operation. “Nobody anywhere in the country that I can see has been able to monetize the eyeballs to the point where it can be a sustainable business,” Brower said. Brower said there will not be any immediate changes to the news operation, which he said Sussman set on the right track and left only with the challenge of reconfiguring the printing operation. Sussman is the husband of Maine’s Democratic 1st District U.S. House Rep, Chellie Pingree. The company said the money from the sale was used to pay off old debts, inherited from owners that preceded Sussman.